Graeser Winery. Wine tasting starts at 11am. We will be playing throughout the afternoon starting at about noon. This is a lovely, friendly location and the wine is outstanding. 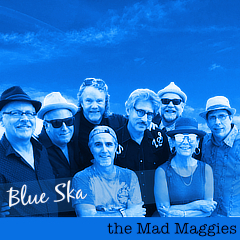 Of course we’ll be playing some of the tunes from our new CD “Flashbacks – the Mad Maggies play vintage hits”. The CDs are being delivered tomorrow so we will have them on hand for this show. 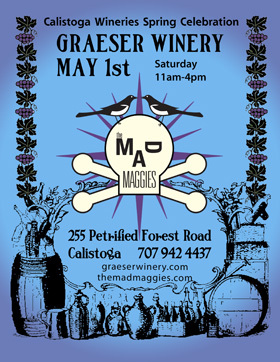 calistoga, Graeser Winery, grapes, live music, Sonoma County, wine.